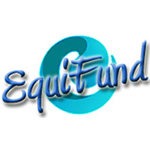 trading our EquiFund strategy with its stellar annual % return record. For clients who are following our OptionsWest Style Covered Call trading strategy, we publish a Daily Covered Call list about 9:00am each day. This is a raw list of possible spread trades that give us a good place to start when searching for trades; no need wasting time looking through the entire market of possibilities. Clients who have taken one of our courses are trained specifically in how to cull through this list for risk adverse investment opportunities. The list includes earnings dates and ex-dividend dates for the positions shown and is the same list we start with ourselves to place trades in the EquiFund.